We have just completed our 50th year in business. 04 Aug We have just completed our 50th year in business. To mark this special occasion, managing director, Jav Samsa and the AJC team invited a selection of our customers and suppliers to celebrate with them at the prestigious EJ Churchill Shooting Grounds, near High Wycombe, Buckinghamshire. With a variety leading companies from the mobile welfare and catering trailer markets represented, a morning of shooting in the elegant surrounding of the Buckinghamshire countryside beckoned. 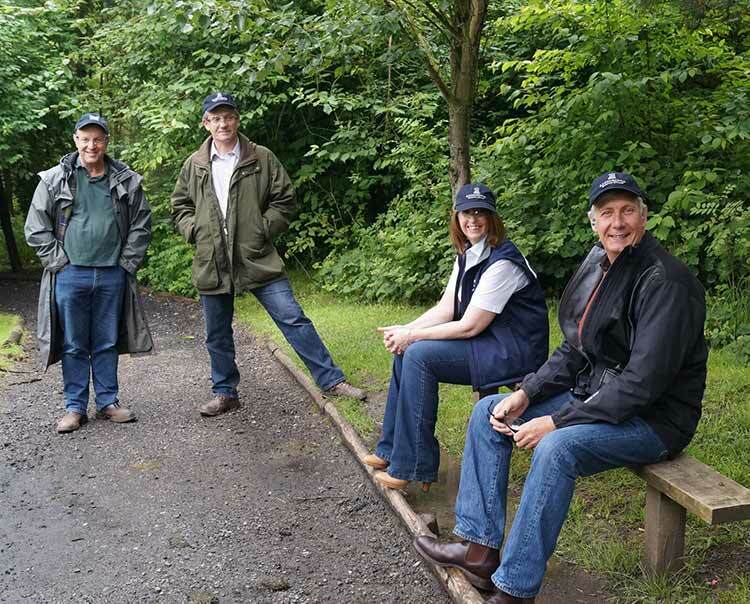 After breakfasting on bacon rolls and hot coffee the guest were split into teams to begin a series of competitive rounds of clay pigeon shooting accompanied by a seasoned instructor. Following the shooting event, a scrumptious lunch was served and Jav gave a potted history of AJC though the years and thanked all the delegates for their company and good wishes. A number of the guests won individual prizes, with Christian Oldroyd from D-Tox Waste Management overcoming all the other competitors by winning the top honour of highest overall score. It was great to see so many of our customers and suppliers making the effort to join in our celebrations,? said Jav. ?We had people from as far away as the north of Scotland and the south of England, nowadays with so much pressure on people?s time, we were honoured that they took time off to join in with us. ?